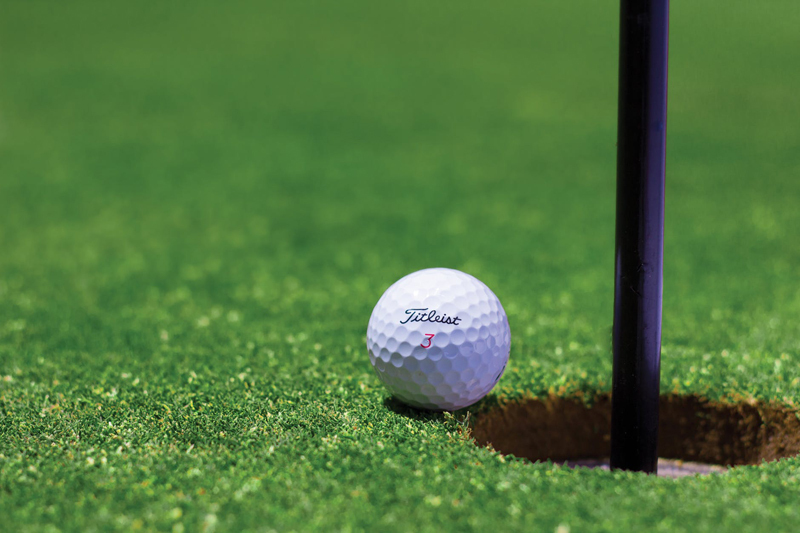 Information you need to know about golf tournaments and how to prepare for them. Report on the 2008 Masters tournament with the winner been Trevor Immelman from South African an amazing tournament. This article describes a golfing event with our Ladies Group. It has been called the Margarita Scramble including all types of handicap players. Luncheon was Mexican food at my home after the event. Describes how a Member/Member golf tournament is played. Some personal information of how the tournament was played. Playing in a Breast Cancer Golf Tournament at Ridglea Country Club in Fort Worth, Texas. Article about a special invitation to participate in a special tournament. It was sponsored by Lone Star Grading and Materials owned by Billy and Vicky Helm. This is a review about being invited to be part of a business scramble that was held at our golf club. My friend´s daughter was sponsoring this Scramble and it was a fun time for all. An article about the 2007 Masters tournament and the many unusual things that happened. Tiger lost to Zach Johnson from Iowa in a strange finish. Another loss for USA Ryder Cup! A description of the recent Ryder Cup held in Ireland. Every year we have this same Member/Member tournament with a two day Eclectic event. I do believe we need a change. A different type of ladies golf tournament a Member/Member called Eclectic. Played in two days where you try to improve the score of two partners in Gross and Net. A discription of Tigers recent win in England to make it his sixth consecutive win on the PGA Tour. I have describe a recent golfing event by our Ladies Golf Association called Belles ´n Babes. Mixing up the old members with new recently joined golfing ladies. A review of Big Break Atlantis in the closing episodes. It will be the final as four contestants are left on the Golf Channel. Article about the recent tournament in Thousand Palms, California the Bob Hope Classic. Charley Hoffman the winner in a playoff. An article about working with the golf committee for the Salado Chamber of Commerce Tournament. They wanted to find out how to get more women golfers to enter this event. A review of our Championship tournament with remarks of next yesrs officers and upcoming event on Monday. A review of a charity golf scramble I attended in Austin, Texas called the Crimson Charity Golf Scramble. This event was directed by my grandson Travis Fell and our team won third place. Great time. This is a review of our Ladies Day Dog Days of August event. A good time was had by all with some crazy games played. This is another article about the Futures Tour in Daytona Beach, Florida this week. This article describes the Ladies professional tour group called the Duramed Futures Tour. If they play well on this tour it will lead to the LPGA. This article relates the tournament held last week and the one coming up this week in Mexico. A review of the continual talk for months about the Masters great tournament. Finally it is here and completed, great show and interesting shots. A review of the Mill Creek Country Club's July 4th celebration on Saturday July 5th. This is a review of our recent Flag Tournament held on July 14, 2010. A reveiw of a golf game called Voo Doo for Friday the Thirteenth. Another article following the DURAMED FUTURES Tour as it stops in Texas at Brownsville. A review of the Duramed Futures Tour as it stops in Hammond, Indiana this weekend for their tournament. Horseshoe Casino Classic will give you a good show. A review of www.golfgurls.com new ebook called Win the Wager that can be dowloaded on her web site. What is a "goodie bag"? Article explaining why these are used and what they contain. A review of the Grand Opening for the Mill Creek Country Club held on May 3, 2014. A review of the 2013 High School Golf Tournament that was held at the Mill Creek Golf Club. This article discribe helping with a boys and girls high school golf tournament. Including a couple of pictures. Article about a tournament in Central Texas call HillCap and involves nine golf courses. This article distribes our work on an upcoming Member/Guest tournament on May19/20. A list of suggestions to running a Ladies Golf Tournament, delegating, and using committees. A review about this weeks Duramed FUTURES Tour played at Richmond Country Club in Richmond, Virginia on August 14-16.
this is a review of a golf gift prizes for golf tournaments. There is an array of choices for every price range imaginable. Ladies section added with a variety of gifts that all can have your logo imprinted on them. This article is about the Duramed Futures Tour being held this week July 17-19 at Wintonbury Hills Golf Course in Bloomfield, CT. ING is the new sponsor this year for this tournament. This is a review of an Interclub Golf Event with Star Ranch and Mill Creek golf clubs. An article relating our last Flag Tournament held on July 1st for our 4th of July celebration. This article explain the Lexus Cup and the captains for the Asian team and the International team. Including how this event is played and where it will be played. This article tells of the win by Christie Kerr at the LPGA U.S. Open at Pine Needles, South Carolina. A review of a Margarita Golf Tournament that was rained out but had our Margarita Party anywy. Article about our special golf tournament called the Margarita at the Mill Creek Golf Club. Our ladies Association plan this tournament every year. Article describing a Margarita Golf Tournament at Mill Creek Golf Club. A Scramble followed by a Mexican taco salad bowls luncheon with frozen Margarita's. A review of our 2012 Margarita Scramble that was held on Wednesday with four teams of four. A lunch of Tosado's and frozen Margarita's ended the day. A review of our 2012 Member Guest Tournament organized by Janet Gravette our tournament chairman. A review of our recent Member-Guest Tournamentat Mill Creek Golf Club on May 18-19th.l A good day with 8 teams of four. An article describing a recent golfing event called the Member/Guest. Members are asked to invite one guest or three guest to make up a foursome. A review of our recent Member/Guest Event held April 29, 2009. Describing how we entertained our guests and what event we played. This article is a description of how my partner and I organized and ran our Member/Guest tournament this month. An article about our recent Member/Member handicap tournament. How it was organized and played out. An article explaining our recent Member/Member tournament by our Ladies Golf Association. We used an Eclectic type tournament play. A review on the winner of the Canadian Open by Michelle Wie who led from the first day. This explain how to organize and sponsor a golf tournament for soldiers from a nearby Army base to play free at your Golf Course. Describes another golf outing for military personnel from Fort Hood for a free round of golf. This is supported by sponsor of Mill Creek Golf Members and interested companies and private citizens. A updated article on the winning ways of young golfer Zakiya Randall of Georgia. I have heard from her and her latest winnings. An article from the blog of Natalie Gulbis concerning her trip to the Solheim Cup tournament in Sweden. Reviewing the LPGA Samsung World Championship which was won by Lorena Ochoa in Palm Desert, California. Defeating Sorenstam by two strokes. Article explains a Men´s Member/Guest event held at our club. I was a grand affair with good participation. An article about the Women's U. S. Open with the winner Paula Creamer and how she overcame the pain from her thumb surgery. This article describes a tournament where a team of two played with each of their pick of a Women´s Pro playing in the U. S. Open. Our scores minus handicap added to their two Pro´s final score on Friday. This article reviews the Presidents Cup on its final day and winning it for the Americans. A review of the Presidents Cup being played this week in Australia with Greg Norman and Fred Couples as Captains. An article concerning a project to clean up the creek on Mill Creek Golf Club that was damaged by the flood in September 2010. An article review of the upcoming Ryder Cup golf event 2014 in Gleneale, Scotland with Tom Watson as Captain. Article about entering in our Chamber of Commerce tournament and how it was run. Also including who played with me in this event. A review of the Salado Chamber of Commerce Tournament that did not turn out too well. They did raise some money by attendance was low. Article describing a money raising Scramble given by the Salado Chamber of Commerce. This is a review of my volunteering to help for the Starburst Junior Tournament held at Mill Creek Golf Club. A review of the Solheim Cup held this past weekend with American team winning 16-12 over Europe. An Article about Annika Sorenstan's win at the Michelob Ultra Open at Kingsmill at Williamsburg, Virginia by seven strokes. An article about a golf tournament at Mill Creek sponsored by Starburst of Waco. This is for young golfers both boy on Monday and girls on Wednesday. A review of the Starburst Junior Golf Tournament to explain how the tournament was started by the Waco, Texas Chamber in 1998. It was to encourage young boys and girls to play golf. A review of strange ending of the PGA Championship when Dustin Johnson was disqualified after grounded his club in a sand trap. This is an article explaining our recent Club event called the Super Bowl Cross Country Scramble. While Annika Sorenstam had a sponsor´s excemption which allowed her to play in the May 2003 Colonial game, Suzy Whaley earned her spot the old fashioned way. This article describes a recent tournament held at Mill Creek Golf Club by the Texas Senior Ladies Golf Assoc. in April. Large turnout of 107 Texas lady golfers with good weather for all. The Masters is held each spring in Augusta, Georgia, and features some of the finest players. A article about the Masters Golf Tournament at Augusta National golf course. The thrills of watching professional golfers struggle and preform flawlesslly. Great show! Article about the 2009 Solheim Cup with American and European women golfers on August 17-23rd. Tiger Woods wins another tournament the Arnold Palmer Invitational which he has won four time before. Article explains how he won it on the final hole. This article tells of the Buick Invitational at Torrey Pines in San Diego and how Tiger comes from behine for the win. A review of the amazing feat of Rory McIlroy winning the U. S. Open. A review of Mill Creek Golf Club offering a tournament to clean-up and update the creek from flood damage. Describes how our Golf Club handles all special events from scrambles, Guest groups, couples groups, tournaments and businesses. A review of Mill Creek Golf Club and flooding on Salado Creek. How members and residents help raise mondy to clean up the damage. Trouble come by way of FEMA. Another article on the Duramed FUTURES Tour for Aug. 21 -23 at Golf Club of Felicia in Harrisburg. PA. This review describes the USGA Open Tournament at Torrey Pines California. An amazing tournament to watch as Tiger finally wins is on a sudden death play off hole on Monday after tieing Rocco after 18 holes. Another article showing the next Ladies FUTURES Golf Tour held in Concord N.H., held at Beaver Meadow Golf Course. The site of a novel about the Futures tour by Dave Andrews book called "Pops and Sunshine". This is an article about our special Ladies Day event called the Valentine Sweetheart Draw. An article on the recent Tiger Woods win this past weekend with a 15 foot putt for birdie on the 18th green to win. Winners again for Tiger and Sherri! This article gives a summary of the winners in the Men and Women´s golf tournaments this past week. An article of how to survive the Winter blues of cloudy skies, rain and snow. I keep planning ahead and wishing for warmer days. This is an article about a Member/Guest that Bev Taibi sent me from Niagra Frontier Country Club in Youngstown, New York.